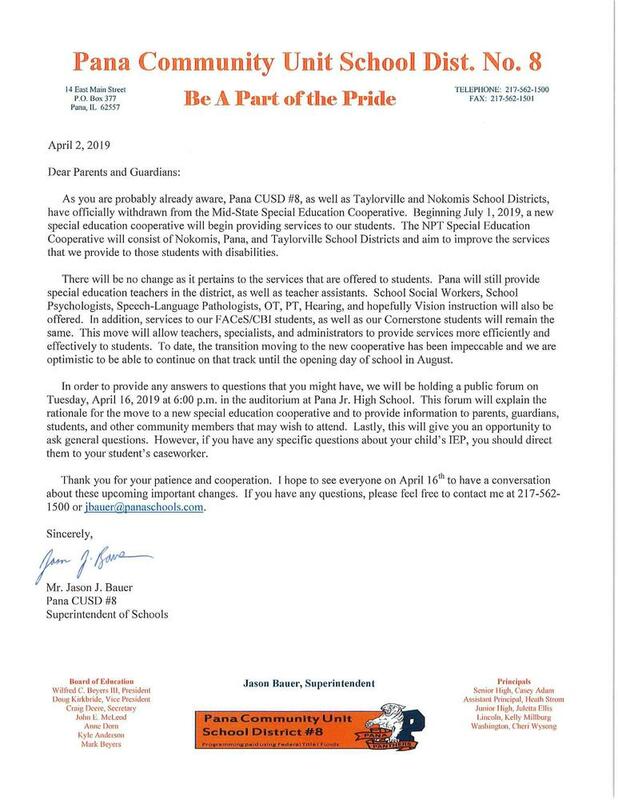 A public forum has been scheduled for Tuesday April 16, 2019 at 6:00 pm in the Pana Jr High School Auditorium. The intent of the forum is to provide information to parents, guardians, students and any other community members that may wish to attend. This will also give the public an opportunity to ask general questions about the transition. Our Mission: "Working in partnership, PCUSD #8, students, parents, and community members, will each do his/her part to ensure learning and success"
Copyright © Pana Community Unit School District 8 2019. All rights reserved.